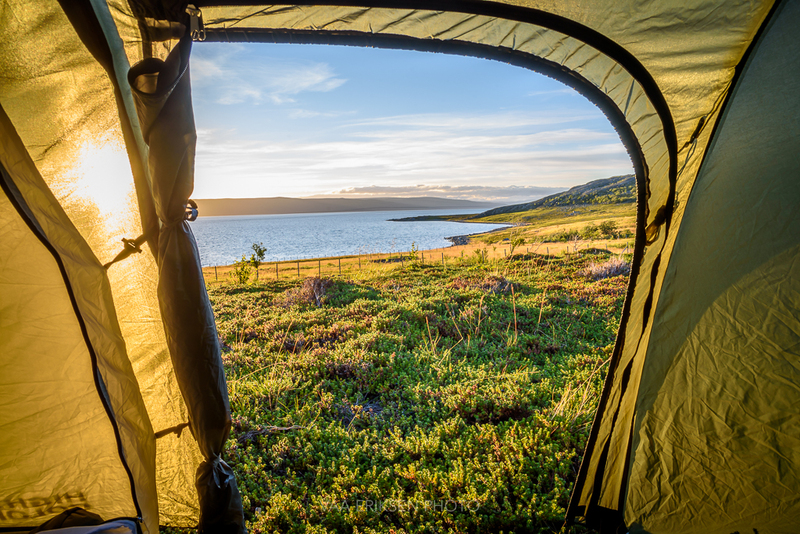 This entry was tagged Camping, Finnmark, Nature, Norway, Photography. Bookmark the permalink. Lovely veiw! I think we all have our happy space/spaces to visit. I am lucky to have a couple of happy places, not to far from home. Having a happy place close to home is the best Lena:) Hope you have the time go enjoy it often! Härlig och vacker vy inifrån tältet! What an amazing view to wake up to, Inger 🙂 I really like the frame the tent opening makes. It makes you feel you are actually there. Pure air, to breath in the sea. Even with fences, this is freedom. Another great photograph – we like to point the tent opening at the best available view, but your scene in the photo sets a high standard! Oh wow, I think that would be a very happy place for me too!! But I must say I am happy almost everywhere in nature. Gorgeous photo/view! Wow…. absolutely incredible image and what a view to wake up to, Inger !!! Thank you so much Sreejith! I wonder why camping is not that popular in India? To many snakes and other dangers? And how lucky you are to have experienced the Himalayas – that must have been magical. Great image and lovely ‘happy place’. ! My happy place is whenever I have my camera in hand! Oh my goodness, this is a perfect picture of happiness! Thank you so much Inese! This is what makes me happy:) Unfortunately at some point you have to get back to reality and back at work. What a happy morning indeed! Gorgeous lighting and the yellow of the tent adds to that radiant glow. Absolutely beautiful My happy place would definitely be at home in bed hahaa. Wow ! Such a beautiful Photo. Great picture!!! Mine is Assateague Island MD. Waking up to a view much like this! Awesome view, creatively captured ! Loved the juxtaposition of the camping gear and the great outdoors ! What a wonderful picture! Really cool shot from outside the camping gear. My happy place is the feeling of content and being able to sit back and love the positive feeling and being able to laugh with my friends and reminisce with my family. That sounds like the perfect happy place Danielle! I do agree that it is more about a feeling than an actual place. Thank you so much for your thoughts and input. This photograph makes me want to buy a tent. That is a gorgeous sight, I would love to see that for myself.